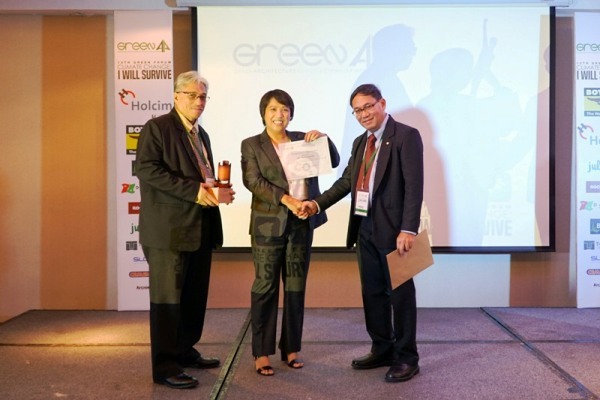 ALKFI Partnerships and Advocacy Director Norie Garcia (middle) receives Certificate of Recognition as one of the keynote speakers during the 13th Green Forum held in Crowne Plaza Ortigas. 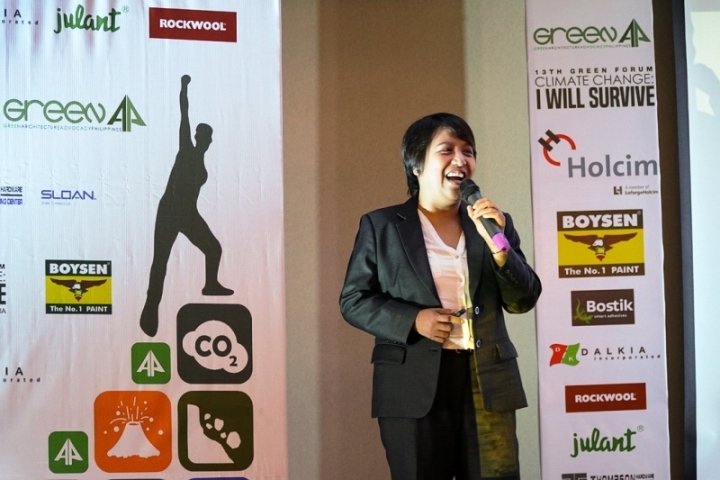 A few months after the 2015 Paris Climate Conference, the Green Architecture Advocacy Philippines organized the 13th Green Forum, recently held in Crowne Plaza Ortigas to discuss the issues of climate change, the worsening condition of earthquakes and typhoons, building resilient shelters, sufficient supply of food and water, energy and community resiliency. ABS-CBN Lingkod Kapamilya Foundation, Inc.’s (ALKFI) Partnership and Advocacy Director Norie Garcia shared the projects of the foundation, specifically the environment arm – Bantay Kalikasan. The No to Mining Campaign already reached its coveted 10 million signatures last December, also the same time when COP21 took place. Consequently, the success of No to Mining became an offshoot to pursue a green electoral campaign to bring socio-economic and environmental issues in the platforms of political candidates. Thus, the Green Thumb Coalition was launched in February along with more than 40 organizations. Provincial sorties took place which made the national and local candidates commit to green action points laid out by the coalition. These are Biodiversity, National Land Use, Mining, Food Sovereignty and Sustainable Agriculture, Energy Transformation, Human Rights and Integrity of Creation, Climate Justice, Waste and People-Centered Sustainable Development. Garcia also shared the three main thrusts of ALKFI and Green Thumb namely; that 1) Taking care of the environment is the way forward; 2) It can be done, we can do it and; 3) We say YES to Agriculture and Ecotourism. Bantay Kalikasan’s 13 ecotourism sites nationwide are proof that the mentioned thrusts are doable. The Green Thumb Coalition is currently preparing its game plan to assess if the winning candidates have fulfilled their promise to include environment in their agenda.